An extremely accurate, full size replica of the screen used Robotic Droid. Hand made by Andrew Ainsworth, this sculptural piece incorporates crisp fibreglass body elements and bespoke detailing. 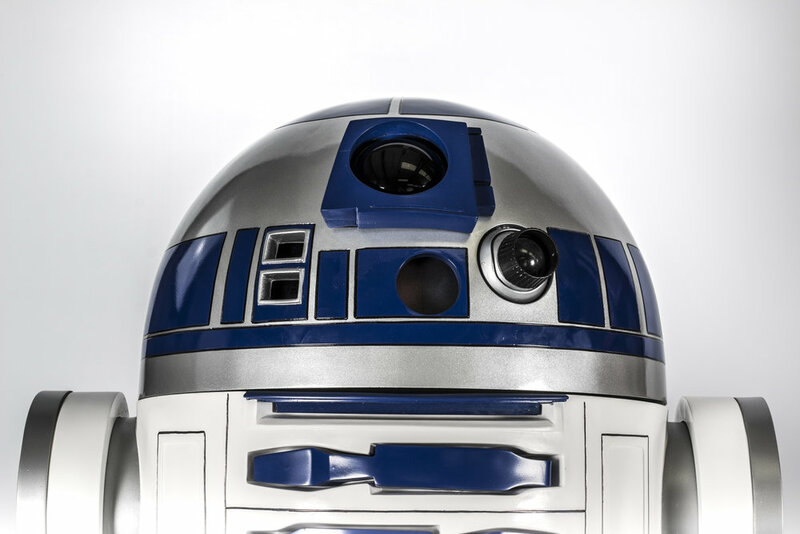 The Droid can be distressed and battle scarred to enhance the authentic appeal of this cheeky character. A rotating head dome with dynamic internal lights. Articulated arms that are lockable. Hand crafted, fine detailed embellishments. Internal speaker for classic R2 noises. Originally made by the film studios for the first Star Wars film, Shepperton Design Studios can now offer you this fantastically detailed replica. A fantastic piece, guaranteed to please the crowds.